Many of you are both parents of dogs and children. Our Salt Lake City dog training company knows the importance of being able to walk both your dog on leash with your toddler. Of course there are many locations where your dog can run off leash while your toddler runs around. However, many of these places require your dog to be on leash in the parking lot or until you reach the designated off leash point. We want you to be safe when walking your dog on leash with your toddler so here are some great tips! 1.) Spend time training your dog to walk loosely on the leash without your toddler being present. It will be much easier to walk the two together if your dog already knows how to walk nicely on the leash and if he is already familiar with dog training. Salt Lake City will be much easier place to walk and hike your dog. 2.) Always have treats on you. Your dog will need to generalize over loose leash walking to when your toddler is present so expect to review dog training. 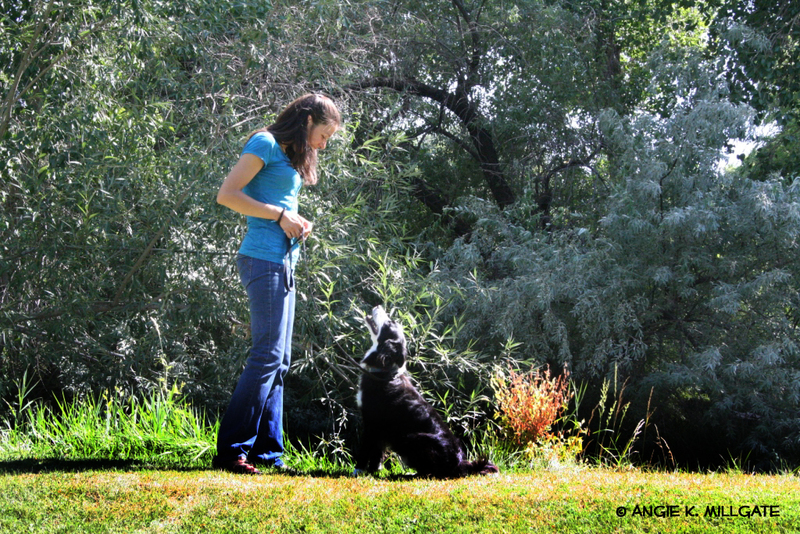 Salt Lake City also has plenty of reward-based dog trainers if you need further support. 3.) 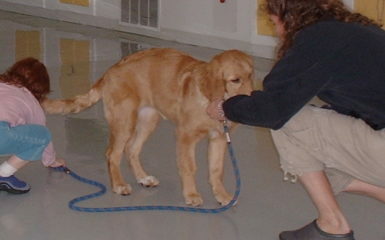 Teach your dog to walk on one side of you instead of crossing over and around you. 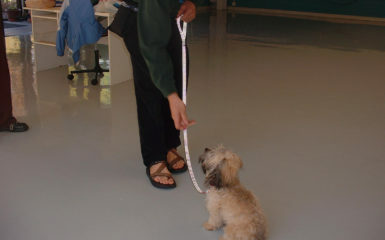 If you dog also knows basic obedience you will have an easier time as well. 4.) Make sure you toddler listens to you well and stays nearby so that you can easily be a team. If your toddler likes to hold your dog’s leash or likes to give your dog treats, you can use those options to motivate your toddler to stay nearby. If your toddler gives your dog treats make sure your dog can take treats gently and your toddler can follow rules so that your dog feels comfortable taking the treat. 5.) Keep your leash walks short. Walking from the car to the off leash area is plenty long enough. For longer walks consider putting your toddler in a stroller. 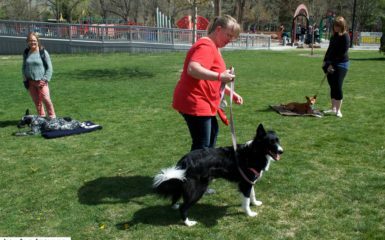 Again if you need further support with dog training, Salt Lake City has plenty of positive reinforcement dog trainers to choose from. 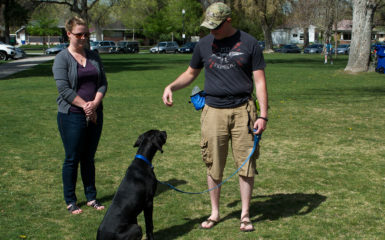 Also Our Salt Lake City Dog Training company has an awesome course called Sophomore Obedience that focuses on creating loose leash walking in the outdoor environment. Your Turn! We want to hear from you! Do you have a toddler? What did you find helpful in this post to create more peaceful leash walks? Kathie! Thank you for your compliment!! It’s great to see you here again! I am also happy to hear that the steps are super clear. I hope it helps out many families! Namaste!